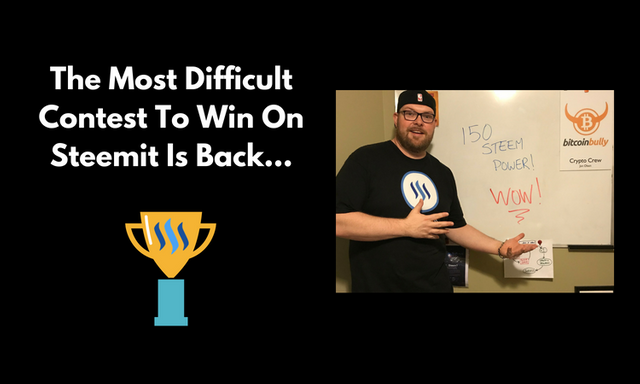 The Most Difficult Contest To Win On Steemit Is Back! 150 SP Could Be Yours! Can you believe that it's already been a month since my last contest? 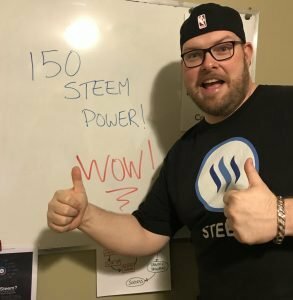 I came up with an idea to reward my followers and readers with a monthly contest where I would award one lucky person with a 100 Steem Power delegation for the month. "The Most Difficult Contest To Win On Steemit!" This month we are upping the reward too...Last month we did 100 Steem Power but because of the success of the first contest I'm going to reward the winner with 150 Steem Power for the month of August! "Sounds good Jon, but I know this is going to take a lot of effort on my part...How do I win?" Seriously though, this has been so much fun to create and I am so excited to delegate the 150 Steem Power to the lucky winner. I will announce the random winner live on my Monday Night Thoughts show on @dlive THIS Monday July 30th! Why am I doing this contest? So the contest is my way to introduce YOU to...Me. And for me to get to meet...You! A win-win in my books! Let's enjoy the journey together because that's what makes Steemit so special! 1. 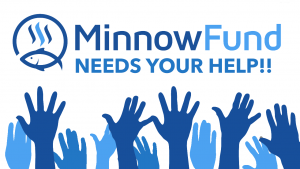 Check out @MinnowFund run by my friend @brandonfrye ! Every WEEK MinnowFund delegates 100 Steem Power to a lucky participant in their program. They are looking to reward new content creators that want to build their brand and blog here on the blockchain. It's a fantastic project! Wow such a "great idea" and this is an "Awesome post!" This is a safe and effective way of giving back to the steemit community and help grow your own brand. Wish I came up with it. Thanks! Seriously, this contest is really hard to win. The winner will be pick randomly like random shuffle. This will depend on lucky beacause my probability of winning this contest is like 0.005. I also found something interesting about the post on minnowfund will check it out. I hope my number comes up as the winner. Well, I wanted to speak English, but I only can read something 😀. doing pretty good :) i understood perfectly. lol awesome :) thanks so much. appreciate the kind words and i try to have fun here everyday. so far. it’s been a blast! Cool Idea! And love the transparency portion. I also can't complain about the @minnowfund plug. We're currently looking for nominations for this week, so multiple chances to win some SP delegation now! Who knows? Somebody could win both!! Best of luck to everyone! yeah man. thought it would be the perfect plug for minnow fund! that’s something i think a ton of people can benefit from. Seeing it for the first, but after reading this now it really seems good.... Definitely participating. And to be frank the name really confused me, thought I had to kill a shark. ha ha ha nah. no sharks are needed to be harmed. awesome to hear and thanks so much for taking part! Hola @jongolson, soy nueva en la plataforma de Stemmit, pero antes de registrarme estuve investigando y aprendiendo sobre su funcionamiento y sus reglas, pero de verdad en todo este tiempo que me tomé para prepararme, para cuando que llegara la hora de registrarme, nunca vi, en ninguno de los Post de Concursos que leí, algo así como lo que hoy día estas promoviendo y ofreciendo. Es un concurso genial y maravillo y de una oportunidad única. De verdad te felicito por esa labor en pro de ayudar a los demás stemmians, para alcanzar sus metas de crecimiento. Saludos y suerte para todos!!!! No! This is just so hard! I can't even...actually, I can. This is pretty simple. Much easier than calculus, or getting the oven clean, or any number of other things. Hey Jon, I keep seeing comments via Partiko, is it good? Better than eSteem? Or just different? i’m loving it. absolutely flawless experience. esteem never worked for me man. couldn’t ever get logged in. partiko is fantastic! First of all I want to thank you for this opportunity, a price like that would mean a huge change in my life right now, I won't waste your time with the whole "Venezuelan economy" story you've sure read before, I love writing and drawing, I haven't published much lately because for some reason my upvote never goes above 0.00$ and well it's kind of frustrating, so I'm trying my best not to feel bad but it's hard, I'm sorry I'm so sad right now, but if we actually could interact more often I hope I can show you some of my work :) in short thank you so much for this initiative, hope to read from you soon. This is great! My dude @mainos12345 told me about your channel, and this contest. It's a great thing you're doing friend. More people should have contests like this! Keep up the good work! awesome! welcome to the show ;) and thanks for the recommendation @mainos12345 very much appreciated. Resteemed my friend! Thanks again for jumping on the pile the other night! We've thought about doing something like this....seems you're doing a great job of putting it in motion. thanks man. yeah it’s been a blast to be on your show. looking forward to hanging out more. thank you so much. and always appreciate the support. I think it's a good idea to help and educate the minnows. By receiving a delegation we learn to share, distributing our votes with others, and we know how difficult it is to reach 100 SP when you start out. So I think it's a good opportunity. thank you kindly :) working hard to add value to steemit anyway i can. There is definitely no steemit for me without support from other Steemians like you @jongolson. The journey here can be pretty tough when there is no form of motivation through upvotes. Because sustainable "passion" to do something goes hand in hand with reinforcement. Apart from just getting upvotes, steemit has been one great community where I have gained knowledge and met great minds. @jongolson, contest here on this platform has brought out the best in me, whether I won or not, I was proud that I could think critically on my own and come up with my own content. When I think of a life transforming school, I think STEEMIT, I have been transformed positively by this community and I'm proud to be here. I thought it was a challenge last month Jon!!! But, I am going to stretch myself and claim it... yes you saw it here first! :) Seriously, I love what you are doing... it is a great way to engage with others. I am looking for a way to make it more engaging for my followers as well. Just haven't found that solution yet! Yes... going to an event like Steem Creators can take you to the next level and beyond! I too encourage folks to attend this event. We need more people like you on steem! I will probably do the same thing when I get enough SP myself. Will resteem as soon as I am finished this reply. This is a very nice thing you are doing for your followers and should bring you some more as well. Great opportunity for the minnows like me to grow in this amazing platform. Hope I may win. awesome!!! thanks so much for taking part. yup good luck to you!! Hello @jongolson, here we go, delegate me, it's a big responsibility but it's better to know how to distribute, when we start here we think it's easy, up, it's easy to win and everything people say when they give their first prize or income, but he knows that it is difficult to persist and continue, after so many falls and climbs, sometimes we are happy when our content is read and rewarded, but if we go from week to week with 000 sbd, the great difference begins the demotivation, then only remains to persist. i want to participate, but am still new to steemit. and i dont know what resteem means. can someone tell me how to do it? Seriously? This is to difficult for me. I think I'm not gonna win this. Love your idea. This is a great opportunity for a newbie like me. Steemit needs people like you @jongolson. appreciate that! and thanks for taking part. good luck. WHAT GOOD INITIATIVE, I LIKE YOUR CONTEST WILL SEE BETTER COMMENTS FOR THIS POST AND THE TRUTH I LEAVE YOU I AM FROM VENEZUELA COUNTRY OF FIGHTER TO APESAR OF A REGIME THAT WE HAVE ARRIVE AH STEEMIT TO SEEK AN ECONOMIC OUTPUT AND THE TRUTH COSTS WE BUY POWER OF VOTE ONLY WE GIVE IS TO HELP FOR THE DAY OF US AND IT WOULD BE VERY GOOD TO HAVE A POWER OF VOTE SO GREAT TO HELP THOSE WHO NEED IT AND HAVE SOME DAY AN INITIATIVE LIKE YOURS A GREETING AND A HUG. GOOD INITIATIVE. thanks for the kind words. good luck on the contest! what a good strategy, friend @jongolson, this initiative that you take is characteristic of a good leader and with respect to your program go ahead and expand as much as you can. Thanks! Appreciate the kind words and support. Muchas gracias! Aprecio los comentarios y la participación! Hola @jongolson, es una genial idea el realizar concursos como estos, dado que se benefician muchas personas de una forma sencilla. Siendo de Gran ayuda tanto para la economía personal como para el crecimiento en esta comunidad. Gracias Amigo, por contribuir con el con el bien común!! Thanks for the post, jongolson. This bot runs through hundreds of posts per day selecting a small percentage of posts that have exceptional positivity. Your post has been selected and upvoted because it has a high concentration of positive words that give feel-good vibes. Thank you for creating content that focuses on the bright side. That's a cool idea...And as much as I appreciate it, a human comment would be much more appreciated :) . Stick around, say hi! Gracias @jongolson, por crear este tipo de concurso el cual es extremadamente beneficioso para cualquier participante. Imagínate en mi caso, tengo muy poco tiempo en esta plataforma, pero estoy trabajando mucho para poder ir creciendo en forma sostenida. Soy Venezolana y aquí en mi país con lo deprimida que se encuentra la economía, un premio como el que estas ofreciendo seria una tremenda bendición, por todas las cosas buenas y beneficiosas que se podrían hacer con él. Gracias a Dios por que existen personas como tu. Dios te bendiga!!! Valora eso! Muchas gracias por los comentarios y buena suerte en el concurso! Sorry... I hate Resteems in contests. Mmmmhh... Yes you are right. Dislike is the right word. I understand the dislike. I do! Nothing worst than flooding a wall with resteem after resteem. I do hope I attract the right follower though. That may resteem to enter a contest but sticks around because they feel I deliver value even after the contest is over :) Appreciate the comments though. And I do understand the dislike. You know, this kind of contest looks just like a lottery... there is not much creativity behind, and I don't know if it's a win-win situation. It's just a personal opinion, and everybody can do what they want here in Steemit. We were all new here at one time :) Biggest thing is to just engage with others. Comment. Respond. and have fun!! Grandiosa idea @jongolson. Un concurso de película. Lo único difícil es poder cumplir con las tres condiciones que has puesto para poder participar, pero ya estoy trabajando en ellas para lograrlo. Gracias por la gran oportunidad amigo!!! Gracias! No debería ser demasiado difícil. Un comentario rápido, canjear y seguir, ¡y listo! Jajajajaja!! Lo dije en Broma mi amigo, eres genial. Esas condiciones son demasiado fáciles y denotan tu buena intención de ayudar al Prójimo. Un abrazo fraternal. Saludos!! Los caminos de Dios y sus formas de manifestarse son insospechados, Dios nos envía pruebas de su magnificencia a cada paso que damos, solo hay que estar pendiente y no olvidar dar gracias por ello. Lo digo por @jongolson, una persona que hoy nos sorprende con este concurso tan grandioso para beneficiar a un usuario de forma justa y en oportunidad sin ventajas. Dios le premie su buena voluntad señor @jongolson!!! Gracias por las amables palabras y bendiciones! Maravillosa y espectacular idea @jongolson, en el mundo deberían haber mas personas como tu, que propicien el bien de los demás en forma desinteresada y sincera. Dios te Bendiga y te retribuya en Salud, bienestar y prosperidad, esto que haces para beneficio de tus semejantes. Dios te premie tus buenos actos de bondad!!! Gracias por las amables palabras, buena suerte! I love the fact that you called this the "most difficult contest"...lol. Thanks for doing this, I will give it a try. I wish you future success! This post has received a 7.87 % upvote from @booster thanks to: @jongolson.